We have seen a variety of parenting styles here at Speak Up over the years. We see so many examples of truly outstanding parenting. We see parents who pave the way for their child, parents who communicate compassionately and clearly and parents who empower their children without getting in their way. Unfortunately, we also see some examples of parenting that worry us – parenting that is born out of anxiety, fear and worry. We sometimes see parents who struggle with trust; trust in themselves, trust in their kids and trust in others. There are a few ways, we believe, to build trust as a parent. But first, have you ever heard the term helicopter parenting? It’s a phrase that has been around for a while. Helicopter parents hover around their children. They are always close and ready to swoop in and save the day for their child if they face potential danger. Another kind of parent is the lawnmower parent. This term describes parents who are one step ahead of their child. They will smooth their path before them and make sure nothing gets in the way of achieving success. The recent Ivy League university scandal is the ultimate example of lawnmower parenting. Providing a stress free childhood does not help children in the long term. Research tells us that both of these types of parenting are detrimental to a child’s development as children need the opportunity to work things out for themselves and learn from their mistakes. Some parents though seem to “have it all figured out” and we’ve noticed that they have one thing in common. They trust. They trust their kids, they trust their child’s teacher and they trust themselves. Your child is bright, clever, creative, and capable. They might not get it right all the time, but they can and will learn from their mistakes. Trust reinforces trust. Help them build their skills, help them learn how to solve problems and then back away slowly and watch them try for themselves. The most outstanding example of this we see in our programs is parents who hang back at performances. They aren’t standing next to the teacher mouthing the words at their children, they are there to enjoy the show. To those parents we say, bravo! Thank you for trusting your child, for believing in them and being there to support them. Even more importantly, thank you for doing it from a distance. Because when you hang back, you are saying “you’ve got this!” and there is nothing more powerful than that! 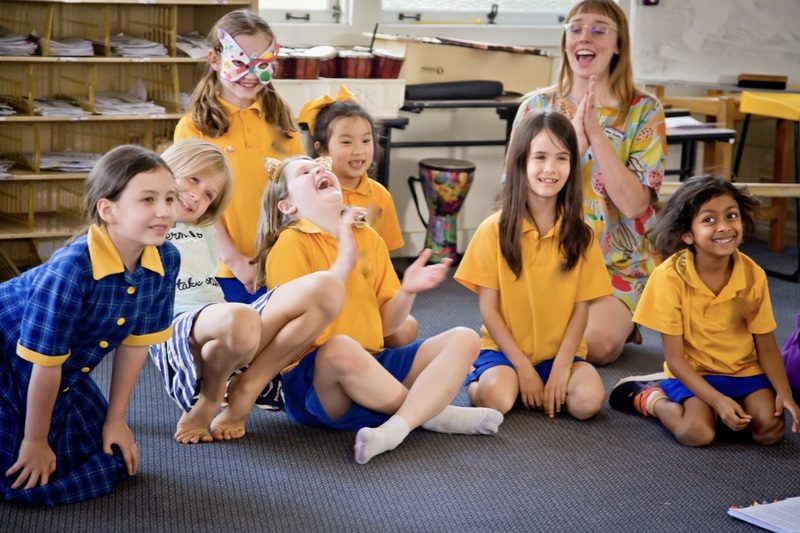 Whatever your child is learning, be it drama, dance, coding or maths, you can bet that the program has been put together by an expert who knows what they are talking about. 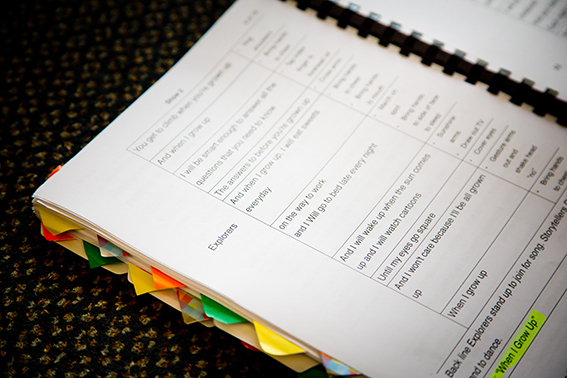 I can tell you that the progression of each child through Speak Up Studio has been carefully mapped out, considered, reconsidered and is based on years of experience. Class length? We’ve thought about it. Difficulty? Where we sit in the room? The language we use in each class level? The size of the stickers we use? We’ve thought about it. Every. Little. Detail. So when a parent decides to tell us that their preppie should start at grade two level, or that a 45 minute class is not the right length for their child, or that their child won’t be doing x, y, or z that is part of our meticulously planned program, we will kindly remind you that we have thought about it. We have seen it work. And we would very much appreciate it if you could trust us and let us do the thing that we know how to do. We sometimes see parents who don’t give themselves enough credit. We see you – caring, collecting, consoling, calming, and coordinating. You are doing an amazing job, and it’s time you acknowledge how awesome you are. You’re teaching your child to be kind, you’re helping them learn to read, you’re providing them with endless opportunities, not to mention unconditional love and healthy lunches. Give yourself a pat on the back, take a deep breath and remember to trust yourself. So you see, give kids the chance to do great things – watch them learn, make mistakes and grow. You’ll be amazed at what they can achieve on their own. And just as importantly, you might find you trust yourself more as a parent too! Gibi got 10/10 on her spelling test this week. She is finally hearing the sounds in words that is making everything clearer because of you! THANK YOU!!! Speak Up Studio’s staff are so friendly and welcoming and their sessions are such fun! My 6 and 8 year old children attend classes during the week and always love coming to their holiday workshops. The choice of holiday workshops are great and they have something for everyone. I couldn’t rate this place more highly!